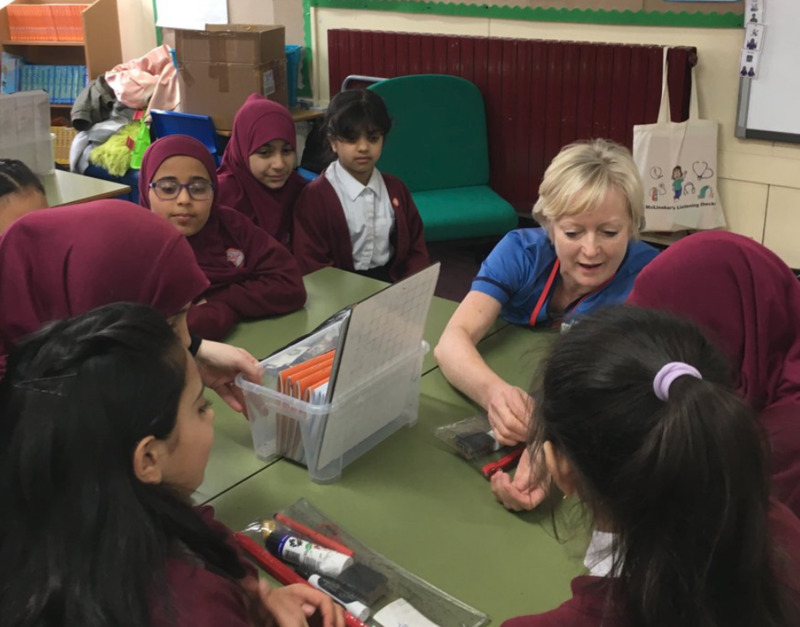 Year 5 students at Percy Shurmer Primary Academy in Birmingham were excited to help launch new #futurenurse mini uniforms for children last Friday. It's part of the #NursingNowEngland campaign to encourage more young people to consider a career in nursing. 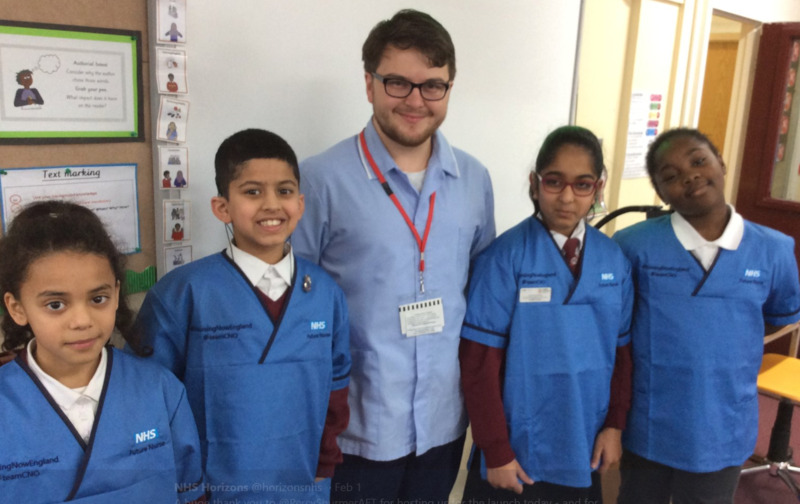 The mini uniforms provide a fab resource for nurses' conversations with children and young people about choosing nursing as a career. 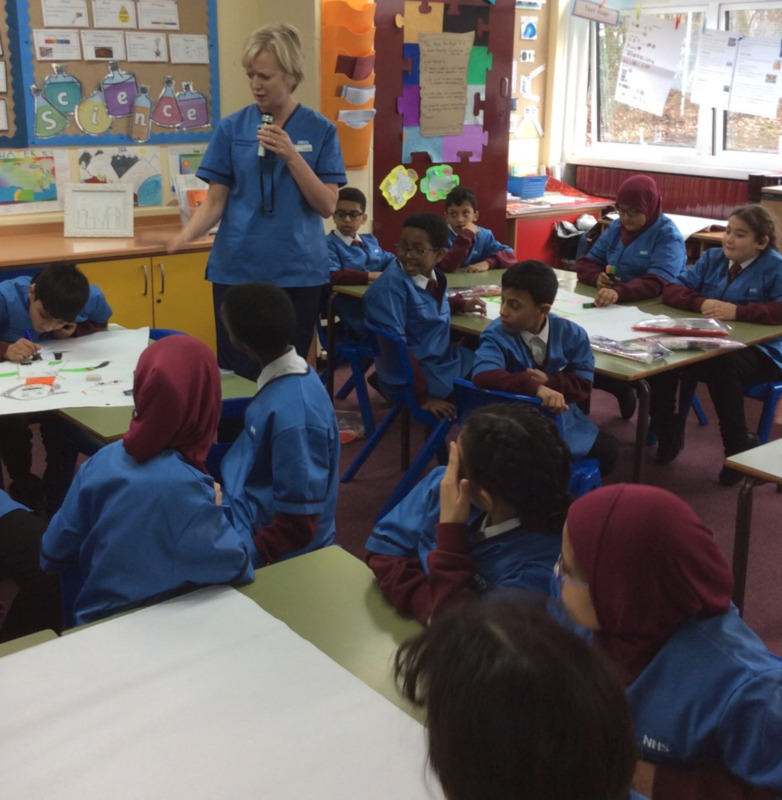 Chief Nursing Officer for England Ruth May chatted with the children last Friday about what being a nurse really means and the different experience and skills these professions bring to local communities. There's still a big cultural assumption that 'nursing is only for girls' (which obviously is NOT true!) - the new mini uniforms are gender-neutral to help remove these misconceptions. 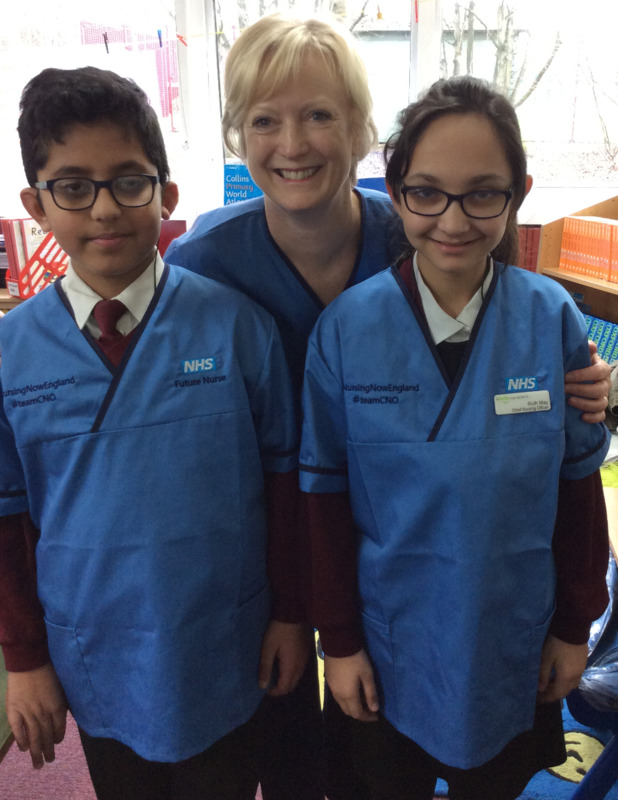 Dann Gooding, a newly qualified children's nurse, and Bruno Daniel from the Royal College of Nursing. 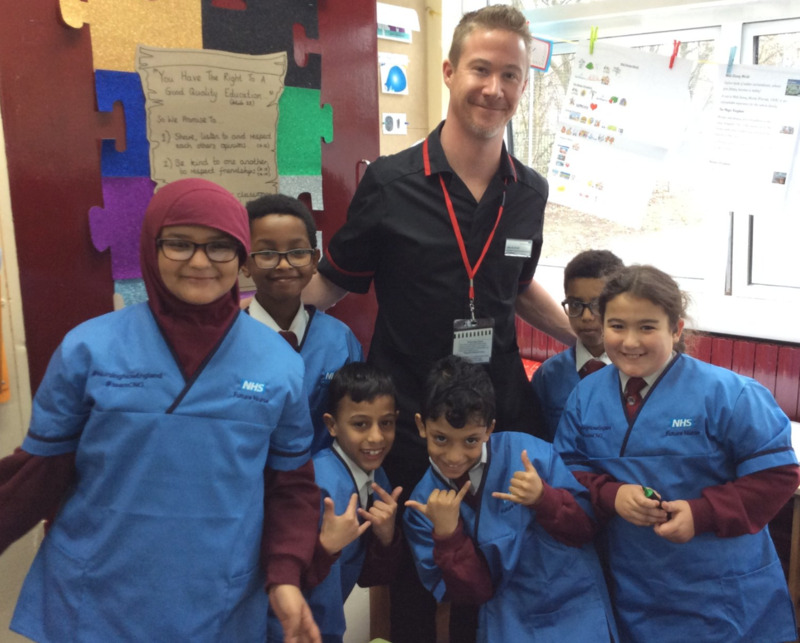 Having these conversations is vital to help transform perceptions of the profession with children, young people, and their teachers - the range of skills that are needed to succeed as a nurse, and the wealth of possibilities available in a nursing career. If YOU would like to get involved in helping transform the perceptions of nursing, we'd love you to join us. Sign up as an nursing Ambassador or a midwifery ambassador today. 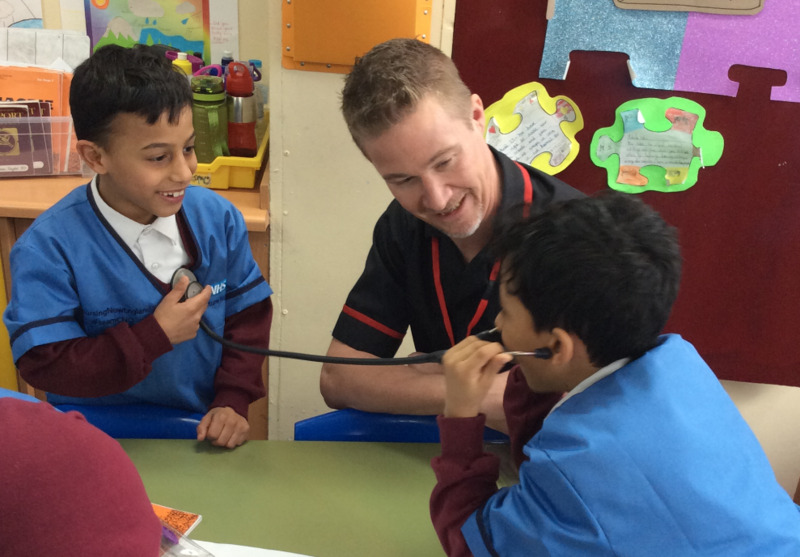 Thank you to Inspiring the Future, a charity which links schools with volunteers, for arranging the school visit.